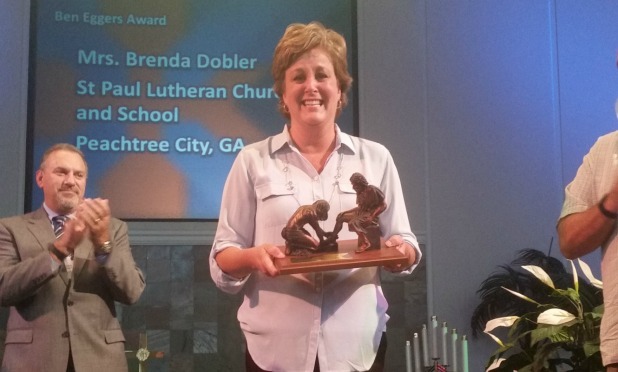 Brenda Dobler, a preschool teacher at St. Paul Lutheran Church and School in Peachtree City, has been named 2016 Educator of the Year for Lutheran Schools in the Florida–Georgia District. She has served St. Paul since the beginning of its ministry. She received the Ben Eggers Outstanding Educator award at a special ceremony as part of the FL-GA District conference in Lakeland, Fla.